I decided to take my van to Brickwerks for a service some 6 months or so after buying it back in May 2015. I’m a bit precious about my vehicles and have found myself in a situation on numerous occasions in the past not really trusting the run of the mill, modern car garage. So the first visit was for one day which included a service, inspection and a fix of anything that was clearly not right and fixable within the constraints of the day. So from there we had a list. One year on and my van was in for a minor service to follow on from the full one in 2015, and a brief to chip away at the already identified issues. All good in the hood….Not quite! It soon became apparent that I had some quite serious issues as a result a distinct lack of maintenance by the previous owners. 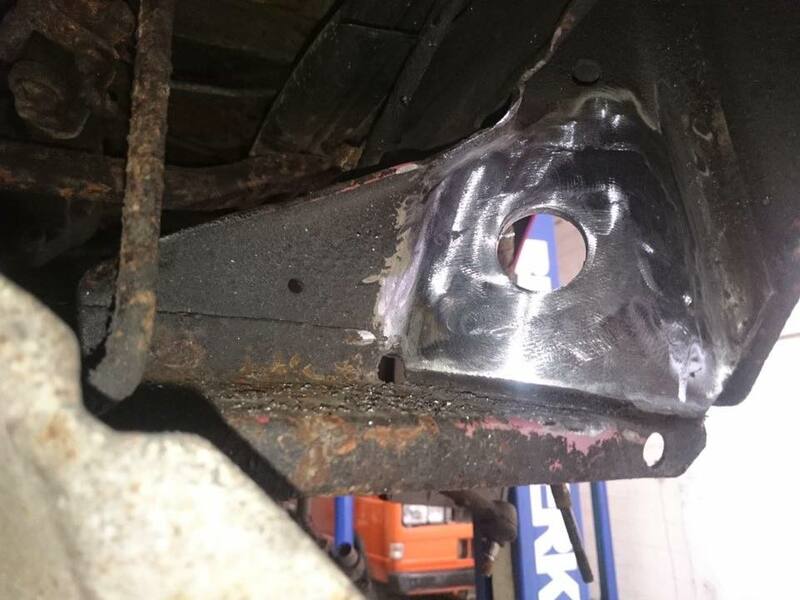 Radius arm bushes were identified as being perished on the first visit, and although this on it’s own is not uncommon, the fact that after further investigation it was quite conceivable that none of the associated components had ever had any maintenance since it left the factory in 1990. After viewing these parts it dawned on me that if these issues hadn’t been identified during this visit, structural failure was going to happen at some point in the not too distant future. I’m not complaining, but this unforeseen issue was now at the forefront of my vans visit to Brickwerks. 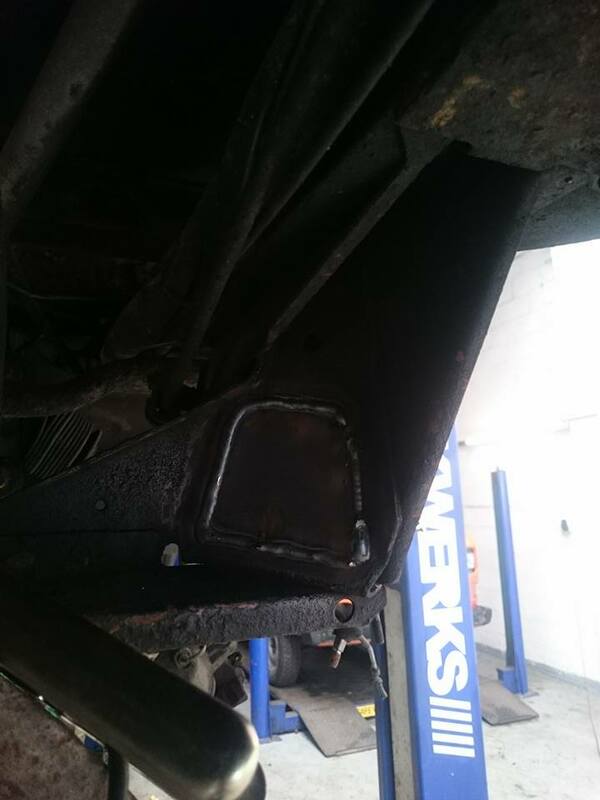 The following is pretty much a step by step pictorial of how the repair was done. I will hasten to add that there is a lot more science and expertises to this than just being able to use a welder and a grinder. 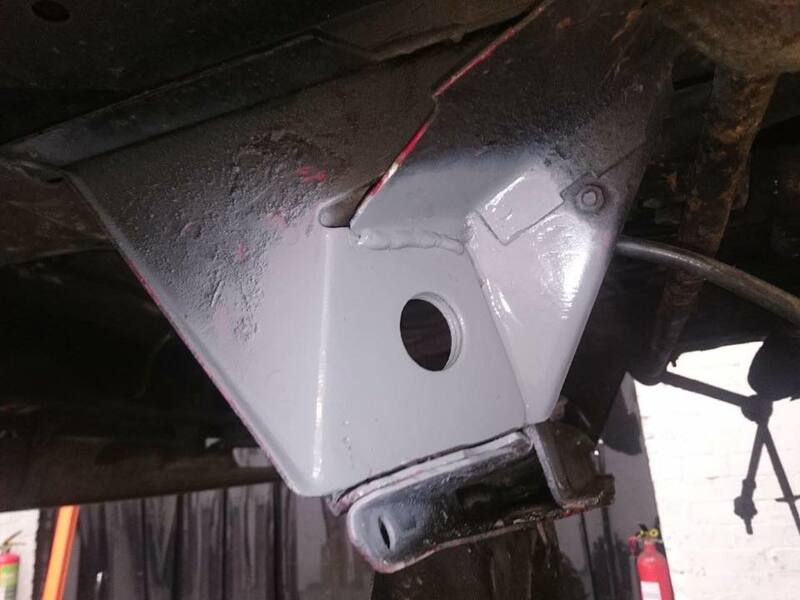 If you care about your van…and more importantly the occupants, pedestrians and other road users that may become involved as a result of dodgy workmanship, i would recommend you leave this sort of fix to the experts. All corrosion cut out of the ‘three’ affected layers. First layer of plate welded in from the back, after which the middle and front followed. 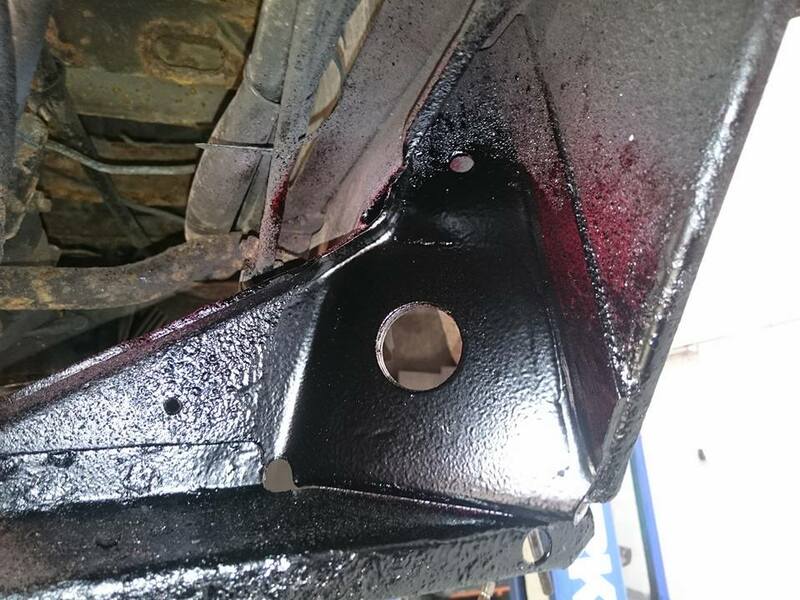 All visible surfaces were cleaned back and the hole was drilled for the radius arm. I will say that this hole was not guess work. A template was made from a new off the shelf part to make sure it was in exactly the right place. and Dinitrol applied to stop stone chips & water ingress. 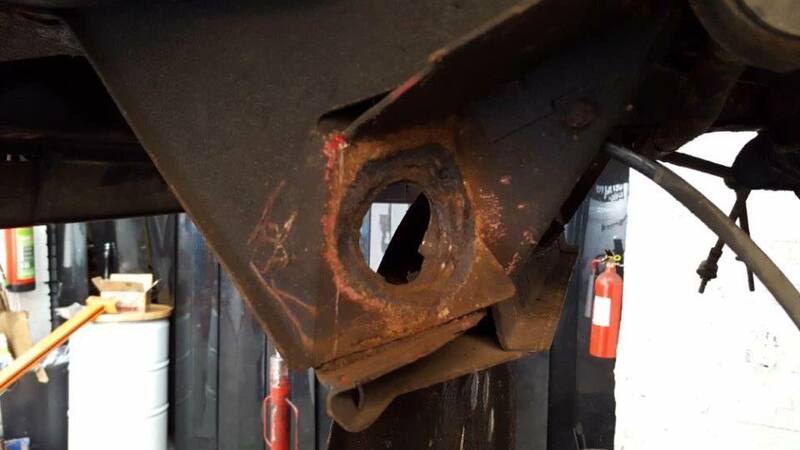 I’ll just point out that the above photo shows one of the desperately thing layers of metal that made up a part of the chassis connector points. The repair (I think you will agree) is a million miles away from the old and worn out parts that were on my van when I purchased it. So this is the finished article…. 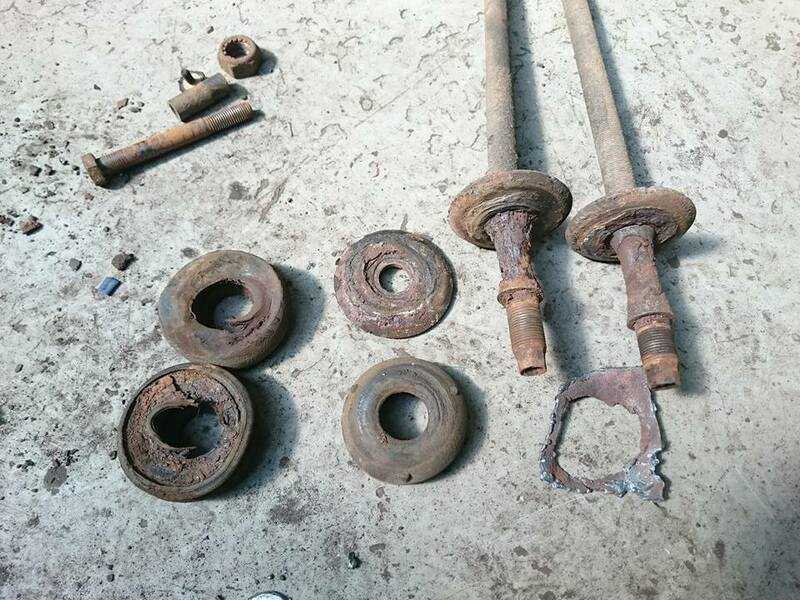 Note: When I first got my van I went through a process of replacing some of the suspension parts such as coil springs and dampers. This improved the ride of the van massively and I didn’t think it could get any better. 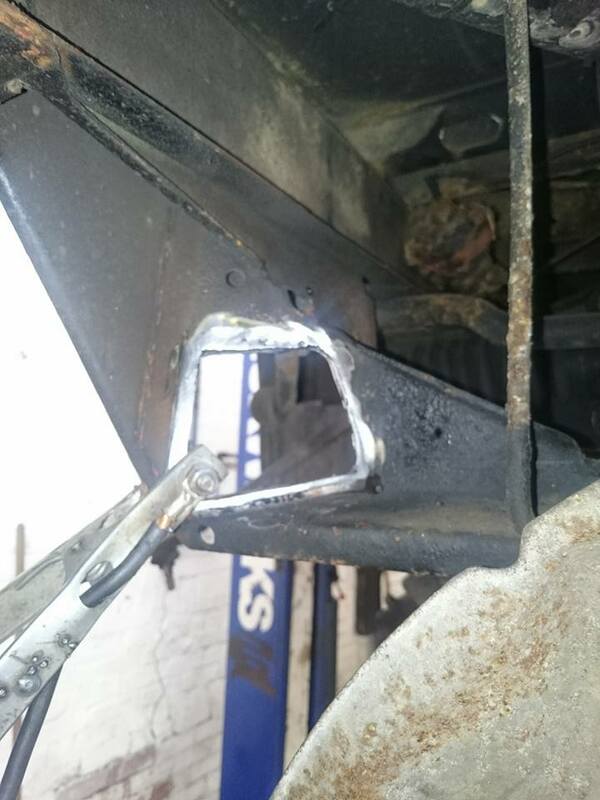 I was proven wrong and it was instantly noticeable on the way back to Derby from the workshop in Yorkshire that it was so much tighter on the bends and bumps. 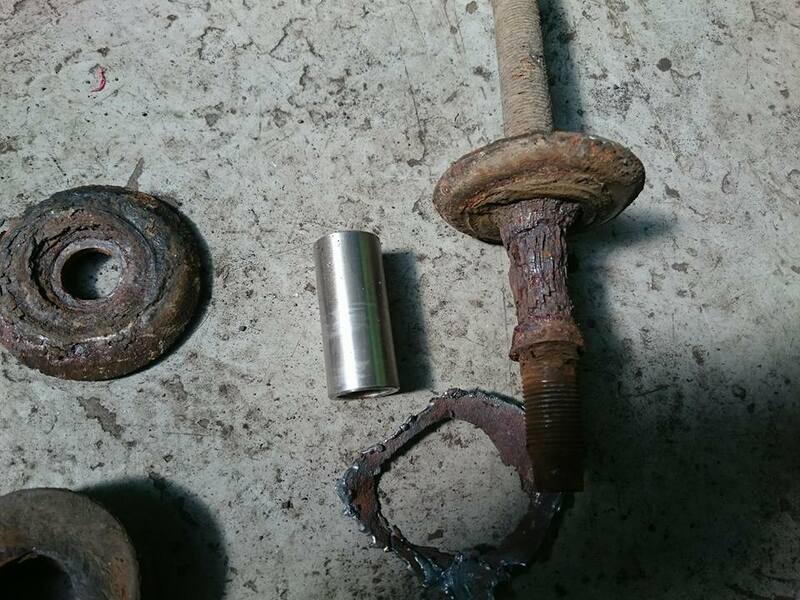 This just goes to show that it is a sum of all of the components being in good working order that makes a van handle well. Great Blog, really interesting reading. Im in the process of going through most of what you have already done with my van, 1987 Westy Club Joker. 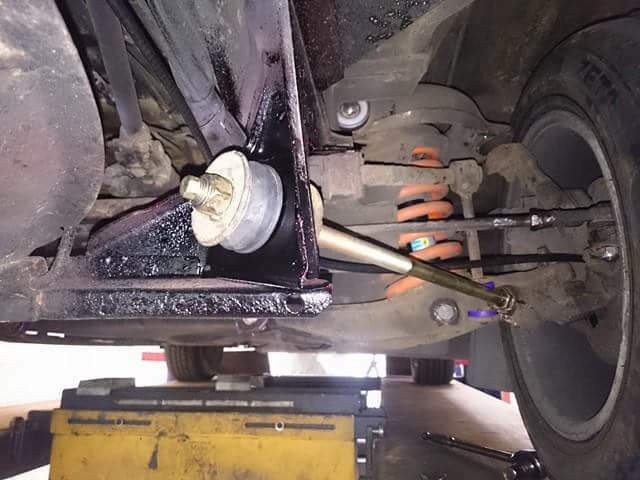 Im just having my radius rod bushes done. 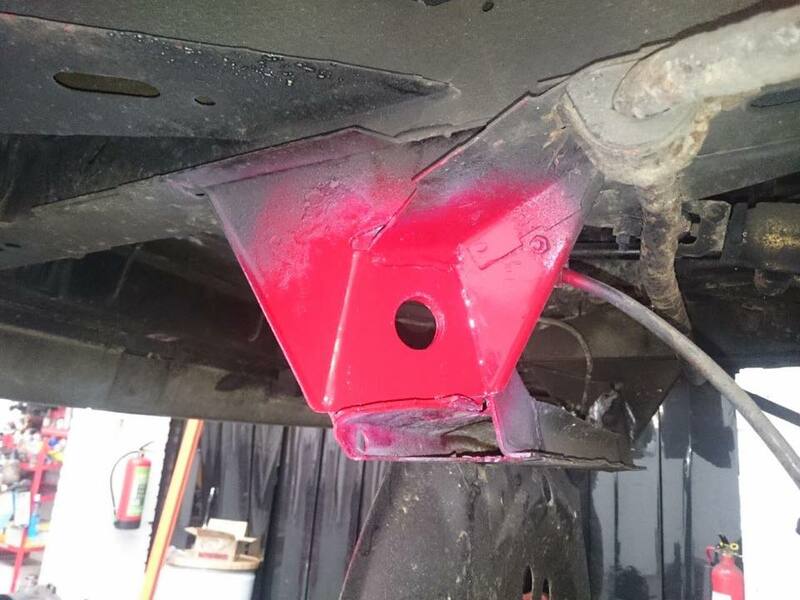 Did you notice better steering or handling following the repair?